As a biofuels plant, how do you make sound plant management and investment decisions in an environment of political turmoil? This was the theme of one of the panel discussions during the 2014 National Advanced Biofuels Conference that took place in Minnesota this week. The conversation focused on how the uncertainty surrounding the Renewable Fuel Standard (RFS) that has not been finalized for 2014 as of this writing, affects decisions made for biofuels plants. The panelists discussed tips and strategies on how they try to keep their business healthy and growing while also trying to position themselves for continued, future success. 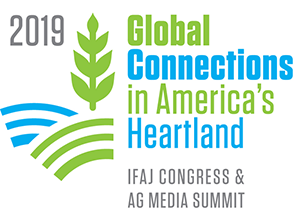 Insights were given by Mike Jerke, CEO, Guardian Energy Management LLC; Brian Kletscher, CEO/General Manager, Highwater Ethanol; and Randall Doyal, CEO/General Manager, AL-Corn Clean Fuel who all run currently operating ethanol production facilities. While each one pointed to the prices of feedstocks as being the number one cost of production (feedstock costs are 80 percent of a plant’s production costs) there are other ways to streamline efficiencies to stay competitive and one strategy is to diversify into bolt on advanced biofuels technologies. Doyal noted that the big takeaway for the attendees was that the existing ethanol industry is looking at those next generation biofuel opportunities. “They look down the road all the time, and that the existing ethanol plants are not Gen 1 – we’re way down the road from Gen 1. We’re far more advanced than that and we look forward to bringing that type of thinking into advanced biofuels,” Doyal said.